This recently converted apartment is right in the heart of the town centre, within a few minutes walk of the town square, and ideal for several major employers - Willis, Axa, Haven Power, WNS to name but a few. The apartment is located towards the centre of the building, so it has an internal courtyard view, and is therefore not subject to the usual town centre noise. 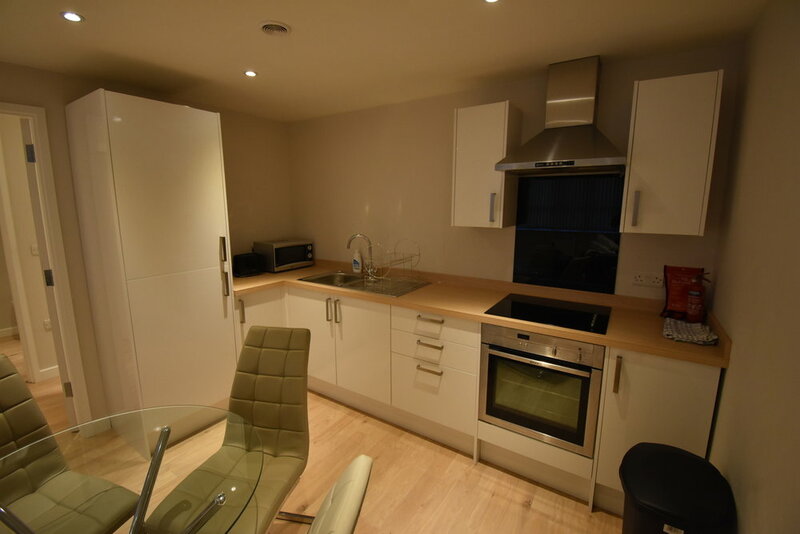 1 Bed Apartment, Central Ipswich. 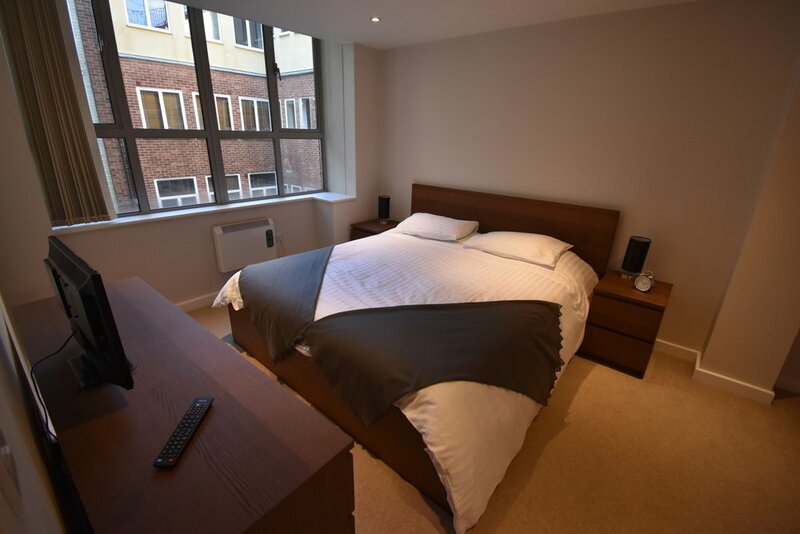 This centrally located 1 bed serviced apartment is perfectly located for those wishing to be right in the centre of town. Suitable for up to 2 adults, the bedroom offers a Superking bed. There is a fully equipped kitchen, dining table and chairs, sofa, and a large Smart TV (streaming only, Netflix provided). Due to the central location, this apartment does not come with parking.